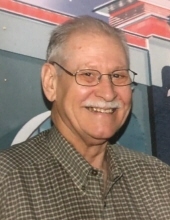 James Weddle, 85, (born November 19, 1933) of Lufkin, Texas passed away on April 6, 2019 in Lufkin, Texas. A celebration of life will be held at 2:00 pm on Saturday April 27, 2019 at All Families Chapel in Burke, Texas with Pastor Kevin Poage officiating. James was a loving son, brother, father and grandfather. He was an avid Dallas Cowboy fan and enjoyed watching HGTV. He loved camping with his family and friends. He will be greatly missed by all who knew him. He is survived by his son in law and daughter Joe and Merri Harvill of Burke, Texas; one grandson and his wife Shawn and Whitley Harvill of Huntington, Texas. ; a great grand-daughter, River Harvill of Huntington, Texas; one sister Lela Mae Sheldon of Berry Creek, California; as well as numerous nieces, nephews and other relatives. James is preceded in death by his parents Edward and Fannie Mae Weddle, his wife, Mary Weddle; son in law and daughter Richard and Michelle Clark; son, James “Jimmy” Weddle, Jr.
"Email Address" would like to share the life celebration of James Weddle. Click on the "link" to go to share a favorite memory or leave a condolence message for the family.